Belmont alumnus Nick Ashburn serves as the senior director of impact investing of the Wharton Social Impact Initiative. WSII is a cross-disciplinary center giving students hands-on experience in impact investing. Ashburn graduated from Belmont in 2008 as a double major in political science and German. While at Belmont, his concentration was in international political economy. Through his academics and experience studying abroad in Dresden, Germany for a full year, Ashburn felt prepared to navigate and work across multiple sectors of the economy and to take a global perspective on some of the greatest, systematic social and environmental challenges facing the world. 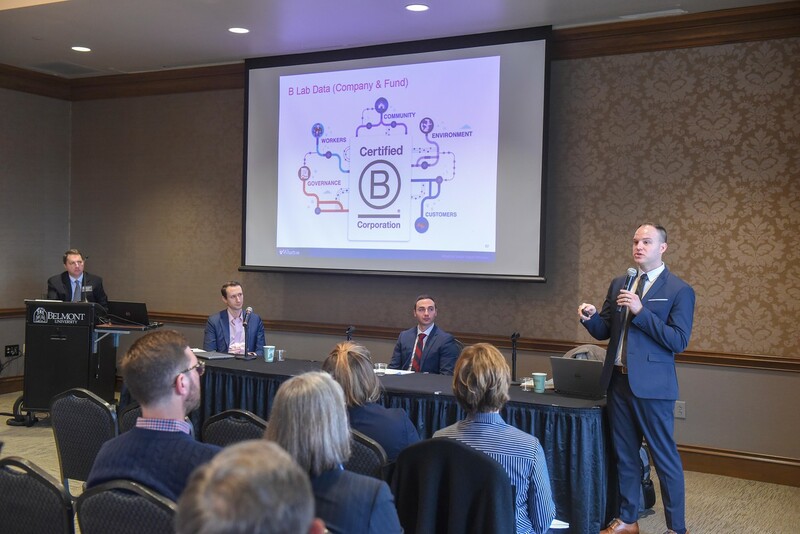 Ashburn appeared on campus earlier this semester, offering a global leadership convocation to students as well as speaking to a business symposium focused on the current state of social impact investing. His work is ultimately divided across three dimensions – creating educational programs, managing research activities and conducting applied work. He also hosts a weekly radio show “Dollars & Change” on SiriusXM 132. Ashburn has taught in the School of Social Policy & Practice at the University of Pennsylvania where he earned his master’s degree in International Development and at the LBJ School of Public Affairs at the University of Texas-Austin.